Karen Holl, professor of environmental studies, and her primary research collaborator have been named recipients of the 2017 Theodore M. Sperry Award, presented by the Society for Ecological Restoration (SER). Holl and her colleague Rakan Zahawi, an associate researcher in the Environmental Studies Department, were recognized for the practical, cost-effective techniques they have developed and studied for restoring tropical forests. In announcing the award, which will be presented August 31 during the 7th World Conference on Ecological Restoration in Brazil, SER noted that the collaborators' techniques have "tremendous promise for restoration efforts throughout the tropics." Their work, the awards committee noted, has taken on added importance with the advent of several international policy frameworks advocating for forest restoration at broad scales. 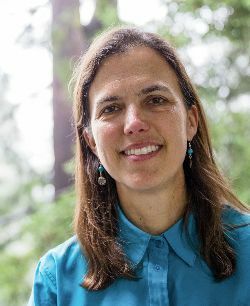 Presented every two years, the Sperry Award recognizes individuals and organizations that have made "a significant contribution to the science and/or practice of ecological restoration." The awards committee reviews nominations and selects recipients based on qualifications that include innovation, recognizing the development of new approaches, methods, or tools of restoration; useful criteria and standards; and/or ways to integrate volunteers or involve the public in restoration programs. Theodore Sperry was an American botanist and ecologist who pioneered early efforts to restore tall-grass prairie in the Midwest.